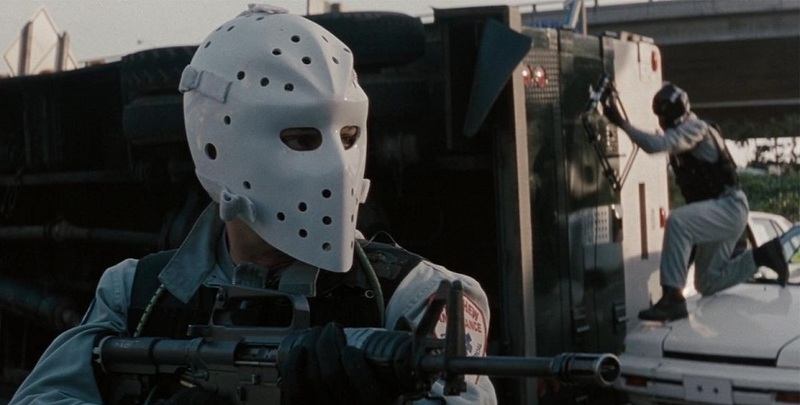 I had first heard of Heat years ago, when I still had a keen passion for performance, from an acting teacher who raved about the performances and editing of the film. He was a pretty good teacher and I remembered the recommendation to this day, so when I saw that the film would be in this season’s In the House line-up, I was eager at the prospect to finally see it screened properly up on the big screen. To kick off the screening, the movie nerds, Ryan and Draz, went over some of the film’s trivia before the film started. 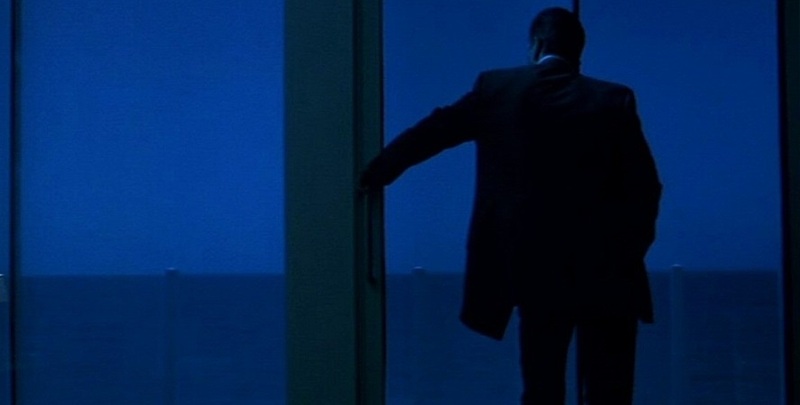 What particularly caught my attention was the fact that Mann practiced a particularly severe attention to detail with regards to the actor’s performances to the point where Pacino lost focus during a take and delivered a line with ridiculous emphasis… which ultimately became the take which made it into the finished version. The film opens on a heist on an armoured car on the grimy streets of LA. The robbers made up of Neil McCauley (Robert De Niro), Chris Shiherlis (Val Kilmer), Michael Cheritto (Tom Sizemore), Trejo (Danny Trejo), and Waingro (Kevin Gage) pull off the heist largely in accordance with their precise plan but things go sideways and three guards get killed. Detective Vincent Hanna (Al Pacino) gets put on to the case investigating the armoured car robbery and is able to trace the likely culprits to McCauley and his crew. When McCauley crew catch sight of the police tracking their moves as they plan for their next big heist, they need to weigh up their chances of getting away with the loot while the police breathe down their neck. Will crooks make it away scot-free or will the boys in blue of the LAPD be able to catch them red-handed? I very much enjoyed this film’s script and the great thought that was placed into crafting our protagonists. Most of the ensemble cast get at least one or two smart or witty lines to say and pull out great performances to match the dialogue. The film does take it’s time and with an almost three-hour runtime, you probably wouldn’t be surprised to hear that. There’s a lot of character development and story arcs which happen for a lot of the side characters beyond our two protagonists and this can drag a bit. Overall, the film is fairly focused on our two protagonists, Neil and Vincent. Pacino’s Vincent is a bundle of nerves moulded together into the shape of a man who chases criminals at the cost of everything else in his life. From Pacino’s little outbursts of neuroticism give the character a sense of barely controlled emotion. Vincent is a man whose job as a homicide detective have given him a lot of trauma which he refuses to process through. This unpredictable behaviour gives his character an interesting screen presence which holds your attention while also giving a plausibility to the less rational decisions he makes as a character but help facilitate some of the film’s best narrative moments. It was no easy task to contrive a reason for Pacino and De Niro’s characters to be onscreen at the same time for a scene but thanks to some foundational character work, the film was able to have one. De Niro’s Neil is a smooth operator who similarly showcases occasional emotional outbursts. Whereas Vincent is all nerves, De Niro is a foil in that even his moments of emotion are subdued and demure. He goes from exhibiting murderous intent and action to subdued performative innocence in the span of seconds in a single scene. His breadth of emotion throughout the film might be limited but we see his anger and desperation in full (if perhaps muted) display through his actions and the performance of De Niro. 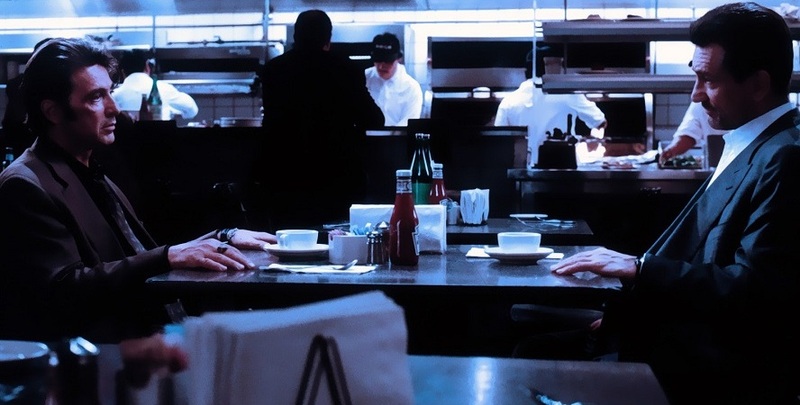 It makes a great countenance to Pacino’s performance and the two of them cut a striking performance when the film places them together in the frame. One aspect that definitely isn’t comfortable in today’s context with it’s presentation of violence towards women. It’s somewhat egregious to see women characters whose main purpose and character arcs appear to revolve around violence being directed at them. This isn’t to say that there aren’t men whose sole presence in the film is to have violence done to them but it’s particular for the women characters considering how none of the lead characters are women… It may not bother you but it’s certainly an aspect of the film which I don’t consider has aged as well in the decades since its release. I was able to enjoy the film regardless but it bears mentioning in case it might affect you. To say that this film indulges its director does not encapsulate the degree to which the film moves at to it’s beat. Shots and sequences go for exactly the duration the film desires with the same action occurring from multiple angles to reinforce its impact. A reason that the film takes great patience with its shots is also to properly build tension at an extremely measured pace. 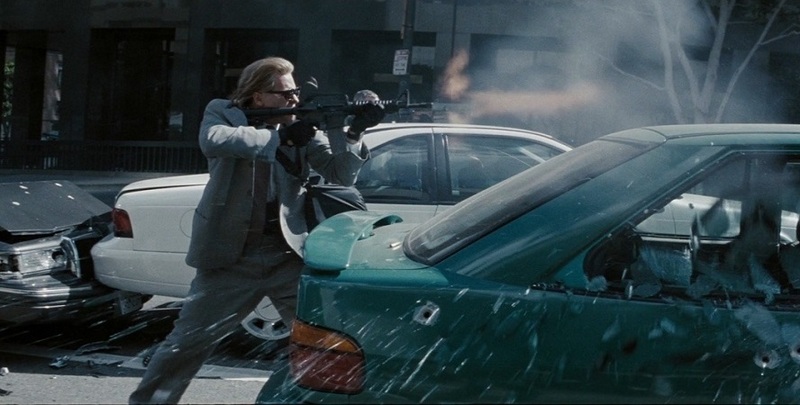 The action unfolds at a fast enough tempo to keep you engaged in what’s onscreen, even if it’s just Val Kilmer jumping in and out of cover to fire at the cops or an actually slow (but deadly) game of cat and mouse. The film knows how to keep you tense and on the edge of your with it’s editing. In addition to this, the cinematography showcasing the night-time beauty of LA gave some of the sequences an almost dreamlike feel as well as being quite aesthetically pleasant. Overall, I very much enjoyed my time with this film; it’s easy to see why this film is such a classic of the heist genre and why it was essential to see it in a cinema. The story features some very strong screenwriting alongside some excellent performances from it’s two leads. The film’s direction features strong editing to compliment the build-up and release of tension to make every scene tense. The film’s audioscape overwhelms you to compliment the tension you’re already feeling and make the action so much more impactful. This film is a tour-de-force of how to edit an action movie and is a must see for any and all who have an interest in crafting interesting visual and audio experiences. I have no problem recommending this film to any and all who are interested in spite of the caveats I’ve mentioned earlier. Kudos to In the House for giving us a chance to see this film on the big screen! 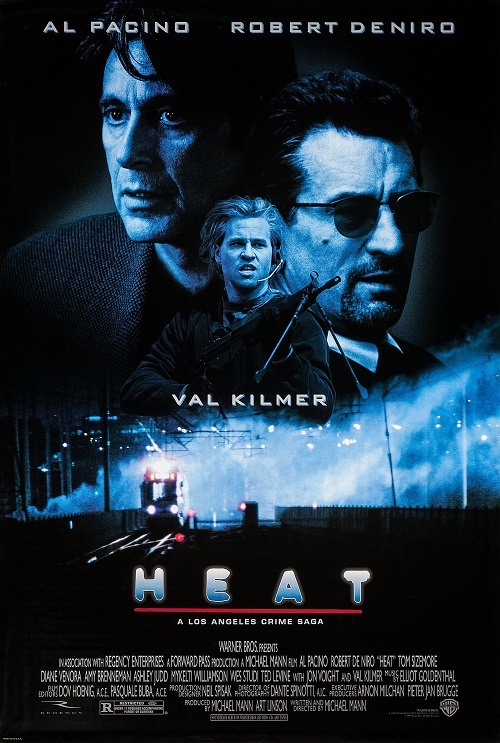 Heat is an exemplary classic of the heist action movie genre with excellent performances, writing and editing to keep you on the edge of your seat.